Nevonprojects brings you the most innovative list of well compiled ece mini projects for electronics and electrical students with circuit diagram. Get mini projects for ece and eee students with circuit diagram for your study and research. 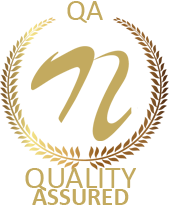 We research and provide innovative mini projects topics for ece and eee research. Implement these top most innovative mini projects ideas for electronics and electrical engineering. Our mini projects list is built using a variety of sensors, microcontrollers, motors, buzzers etc to cover a wide scale of electronics and electrical domains. With circuit diagram and video tutorials these mini projects form the base of your practical electronics knowledge. Our topics cover a wide range of electronics domains and are easy to implement using provided circuit diagrams. These ece mini projects kits come with a circuit diagram and video tutorials to help you understand the development along with 3 different kit types as per your need. With detailed video tutorials our ece mini project kits help you understand how to start with practical electronics development and grow in the field. These ece mini projects have been compiled by our electronics researchers to guide you in your electronics development. 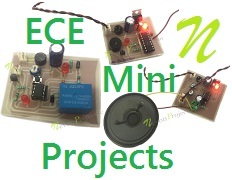 This list of mini projects for ece is designed specifically for2nd and 3rd year electronics and electrical engineering students to help in their studies and research.